Hello! My name is Jeremiah Gonia and I am a 2014 graduate of the Illuminated Class at Asbury. While I was a student, I majored in Communications with an emphasis in Public Relations and minored in History. 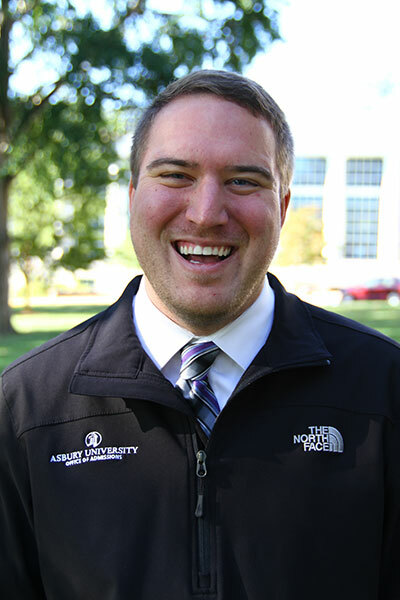 My 4 years at Asbury really allowed me to explore what I was interested in, whether that was being involved with Residence Life and Intramurals, serving as an Ambassador in the Admissions Office or even leading a committee as part of student government. After graduation, I served as the Staff Assistant for the Admissions Office until my current position. I really am excited to share with you how Asbury has impacted my life and I look forward to working with you!